Product information "MacBook Pro full leather sleeve Angus"
Flattering and soft yet tough: The full leather MacBook Pro Case Angus is the ally for stylish creative nomads. 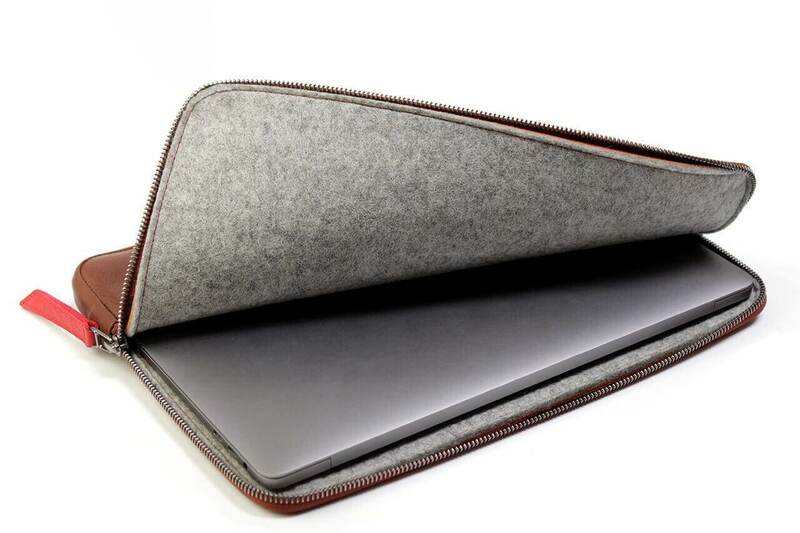 The outside is wrapped in particularly robust leather, carefully crafted in sunny Barcelona, and the inside is soft - and proud of it: your MacBook Pro is embedded in a nest of cuddly 100% Merino wool felt. 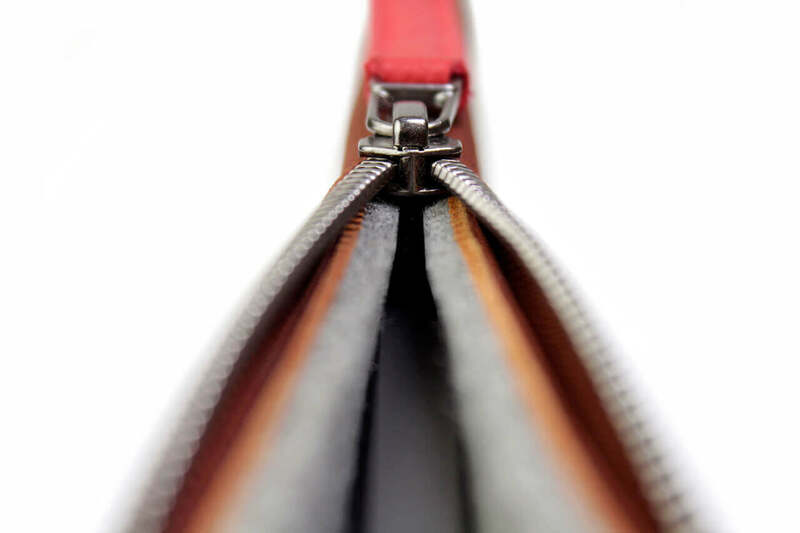 As with all Pack & Smooch products, Angus makes all the difference with its fiddly details: the sleek-look front pocket fits all the must-haves for a life to go, from USB sticks to notebooks. 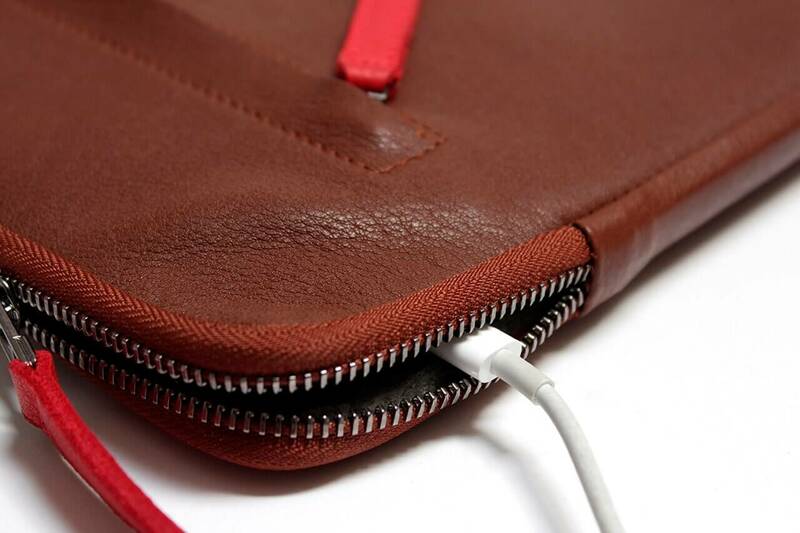 The sleeve is designed in such a way that the zipper slides contact-free over the device when it is opened and closed. No contact, no scratches, no worries! 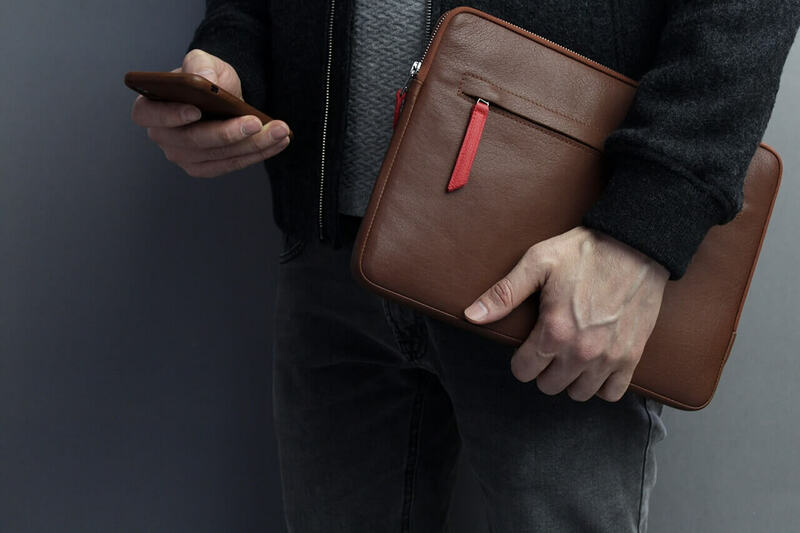 And the backpack-style bag supplied with the device turns from an outer packaging into a fully-fledged add-on, not least because of the individual prints, which are designed by changing designers. 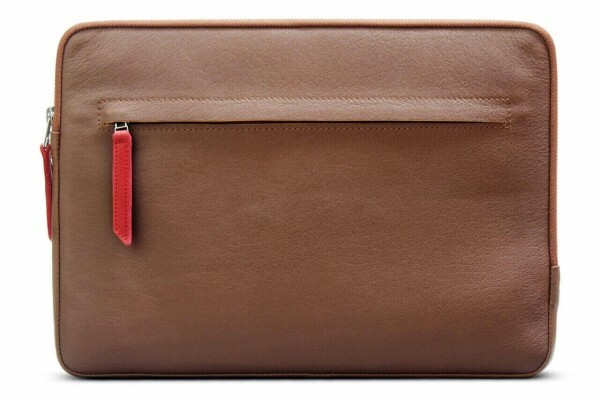 Related links to "MacBook Pro full leather sleeve Angus"
In terms of care and cleaning, there is not much to consider when it comes to soiling the "All Leather MacBook Sleeve Angus". Angus can be carefully cleaned with a damp cloth. 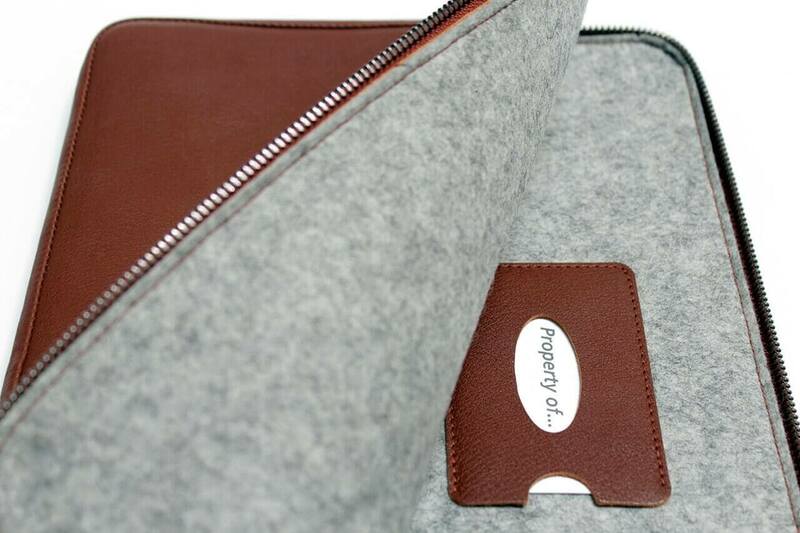 For smaller scratches in the leather, a damp cloth is usually sufficient to remove them completely. Polish in light circular movements and the scratches are already gone. If larger scratches or the like become visible, they can also be removed. Simply polish away with a slightly waxed cloth (leather polish). 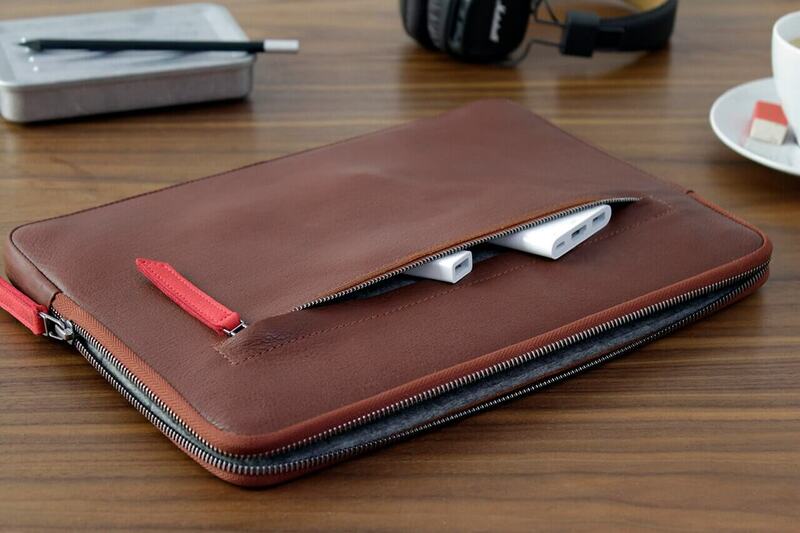 Customer evaluation for "MacBook Pro full leather sleeve Angus"